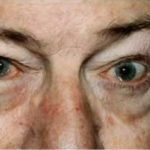 Causes of Excess Tearing – M. Polly McKinstry, M.D. 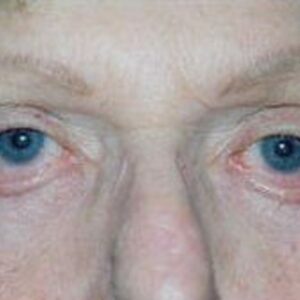 Excess tearing or tearing down the cheeks is either due to over production of tears or to decreased drainage of tears. 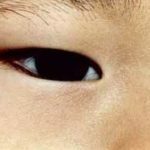 Normally, there is a constant balance of tears being produced from the tear glands under the eyelids which bathe the surface of the eye, then the tears are pumped away by the eyelids and drained toward two small holes, or puncta, in the inner corner of each eye. The tears drain from the puncta through little canaliculi into a tear sac or lacrimal sac from which they drain down a duct into the nose. Thus normally when one cries we will hand them a handkerchief because the excess tears drain down into the nose. Overflow tearing down the cheeks occurs when there is a greater amount of tears produced than are being drained down the normal tear drainage passageways. 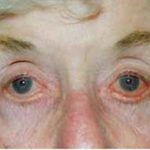 If the lower eyelids are loose and turned out (ectropion) or otherwise out of position, the eyelids are unable to perform their normalpumping of tears into the drainage canals. 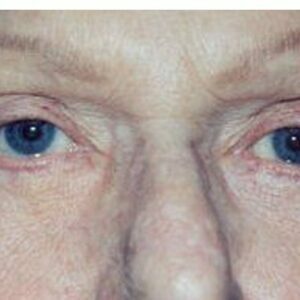 Ectropion repair is usually performed with a canthoplasty to tighten and stabilize the eyelid at the outer corner. 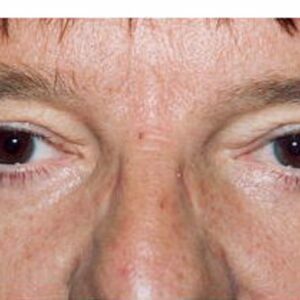 Occasionally, a skin graft is needed to get the eyelid into the proper position where it can pump tears normally. 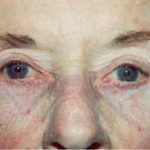 Loose support tissues of the lower eyelid may result in an inturning of the eyelid so the eyelashes rub on the eye (entropion). 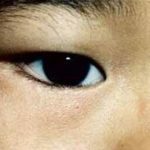 Alternatively, the eyelashes may become misdirected as a result of scarring, irritation or disease process and scratch on the surface of the cornea (trichiasis). 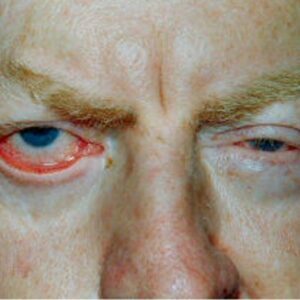 The irritation of the eyelashes rubbing on the cornea causes redness and reflux excess tear production. 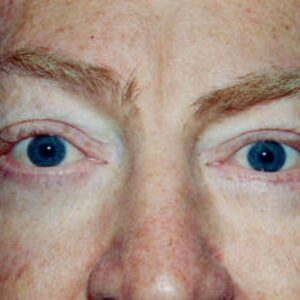 If untreated it may result in scarring of the cornea and decreased vision as well as possible infection. Surgical treatment of entropion and trichiasis using various surgical techniques can provide relief from pain and excess tearing. 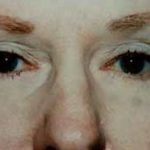 The nasolacrimal drainage canal may be blocked anywhere from the punctum to the canaliculi, lacrimal sac or nose. Sometimes the punctum or the canalicui can be surgically reopened (canaliculoplasty) and a thin piece of silicone tubing, somewhat finer than angel hair pasta, can be placed in the system to keep it open while healing. Sometimes the same tubing can be placed in the drainage system to try to stretch open a narrowed nasolacrimal duct wider. If the nasolacrimal duct or sac is totally occluded blocking drainage of tears, the tears will back up and sit in the lacrimal sac. 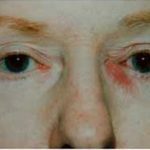 This can result in chronic repeated infections (dacryocystitis) that if unchecked can spread into the sinuses and in severe cases can be fatal. 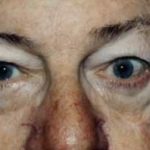 The chronic infections and the overflow tearing can be successfully treated by creating a new drainage canal from the canaliculi from the eye to the nose that bypasses the blockage (dacryocystorhinostomy or DCR). Tearing From Irritation Caused By Dry Eye – Ironically, a low baseline tear production or dry eye can result in overflow tearing. 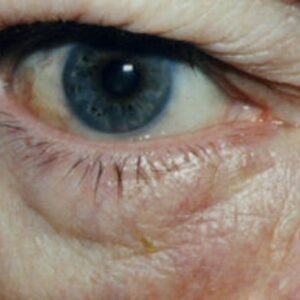 As we age, and in conjunction with some diseases, the eyes (and sometimes the mouth) and skin get drier. 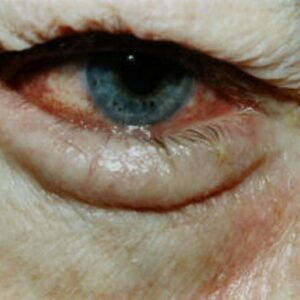 The dry cornea becomes irritated and stimulates a protective overflow tearing mechanism. This pulse of excess tears is more than the drainage system can handle and the tears spill over onto the cheek. This can be treated by lubricating the cornea to decrease irritation using artificial tear drops, or by blocking the tear drainage at the puncta so as to keep the meager amount of tears that are made in the eye. The puncta can be closed by a temporary collagen plug. If this is a helpful procedure, a longer lasting collagen plug or long lasting silicone plug can be placed. Alternatively, a permanent surgical closure of the puncta may be performed. These procedures to correct dry eye may all be performed in the office.